If you would like to expand your business without diluting your equity, Growth Capital Loans could be the perfect solution for you. If you want to learn more about our growth capital offering then you can see the full details here. When looking for capital to grow, entrepreneurs are not always aware that they can raise debt instead of (or alongside) equity to reduce the dilution of existing ownership. They also usually know little about alternative debt funding options, other than traditional bank debt or crowdfunding. Growth debt (or Growth Capital Loan) has features of traditional debt and growth equity, but it is different to each of these. One of the main advantages of growth debt over traditional bank debt is that it is available to businesses earlier and in larger amounts in the life of a business. It is also much more flexible and designed to meet your business needs. Comparing growth debt to growth equity, growth debt is cheaper, it does not incur loss of control of your company neither financially nor in terms of the decision making, and it is quicker to raise funds – a great opportunity for SMEs to fund their growth. 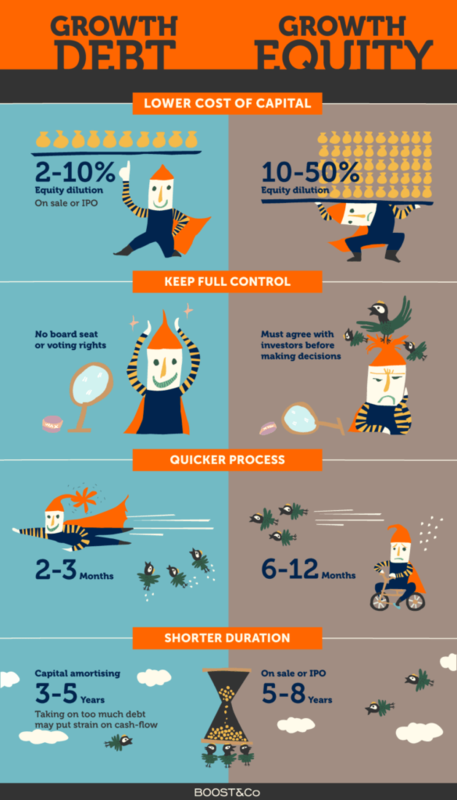 Infographic originally published in Trade Finance Global. Would you like to help your business growth without losing control of it? 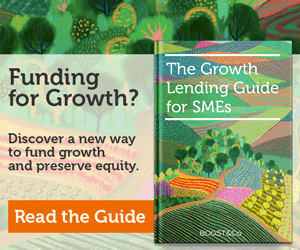 In this guide, you will find everything you need to know about Growth Capital Loans and how to raise capital for your SMEs while preserving equity.